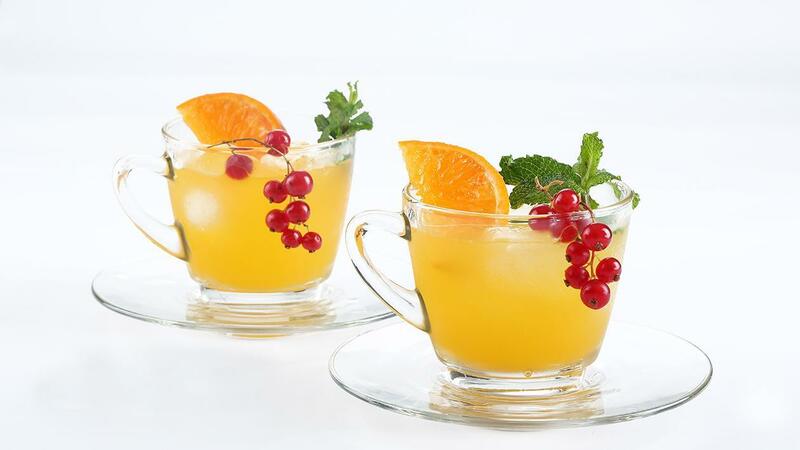 Punch is the classic English traditional celebration drink and served during party since 16th century, good to be served in wedding or any celebration party. This drink is very refreshing with its tempting scent and taste. Grated the orange and lemon peel with nutmeg grater (+/- 6) pcs each). After all the peel come out, cut the lemon and orange to get the juice. Add all ingredients in punch bowl and put big cut of ice block to chill it.